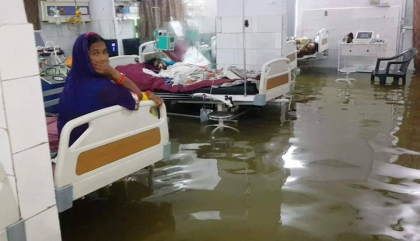 Patna: In a shocking incident, severe waterlogging was reported at a government hospital in Patna, following a heavy downpour in the city over the weekend. 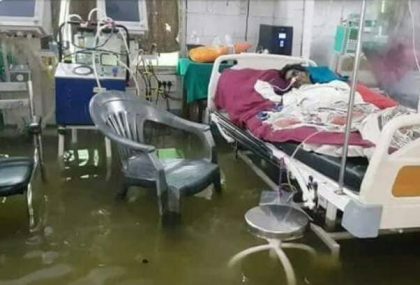 Dramatic visuals from Nalanda Medical College and Hospital showed that even the Intensive Care Unit (ICU) was inundated with the dirty rainwater, forcing doctors and hospital staff to wade in the water-logged room to treat patients. 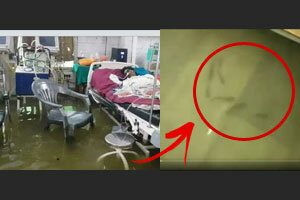 Fish seen in the water logged inside the Intensive Care Unit (ICU) of Nalanda Medical College Hospital (NMCH) in Patna following heavy rainfall in the city. 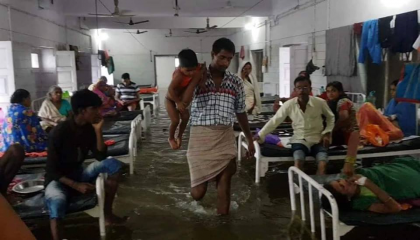 Continuous rains in Patna since Friday have thrown normal life in the city out of gear, as waterlogging and traffic snarls were reported from various parts of the state capital. In fact, water-logging was also reported outside Deputy Chief Minister Sushil Kumar Modi’s residence in Patna On Saturday, the India Meteorological Department issued a warning about heavy to very heavy rainfall to take place at a few places in Bihar till August 1, The Times of India reported.